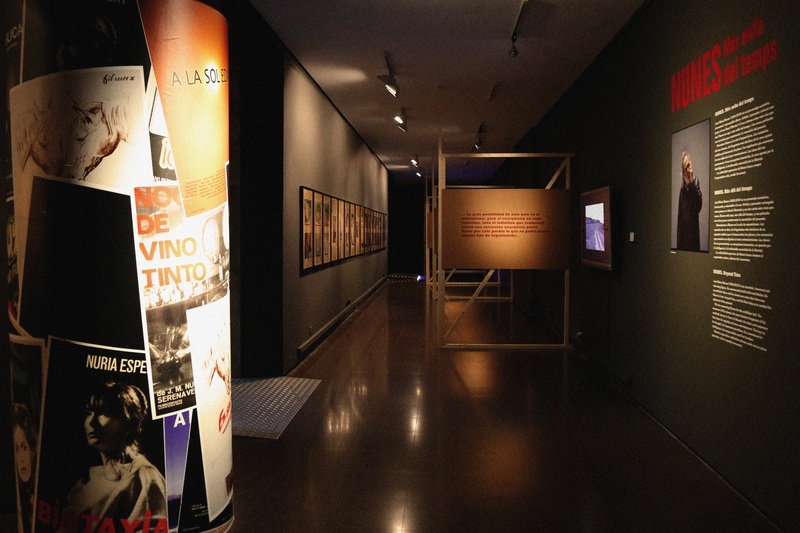 This exhibition covers the work of the Portuguese-born filmmaker José María Nunes, founding member of the Barcelona School. Writer and filmmaker of Portuguese origin, José María Nunes laid the foundations of the Barcelona School in the 1960s. His films had an alternative character, not at all commercial, and they always contained an element of social condemnation. Anarchist in his ideology, he developed his work under Franco’s dictatorship experimenting with the language of cinema in a very personal way. He also wrote essays and scripts, and tried his hand at painting, etc. 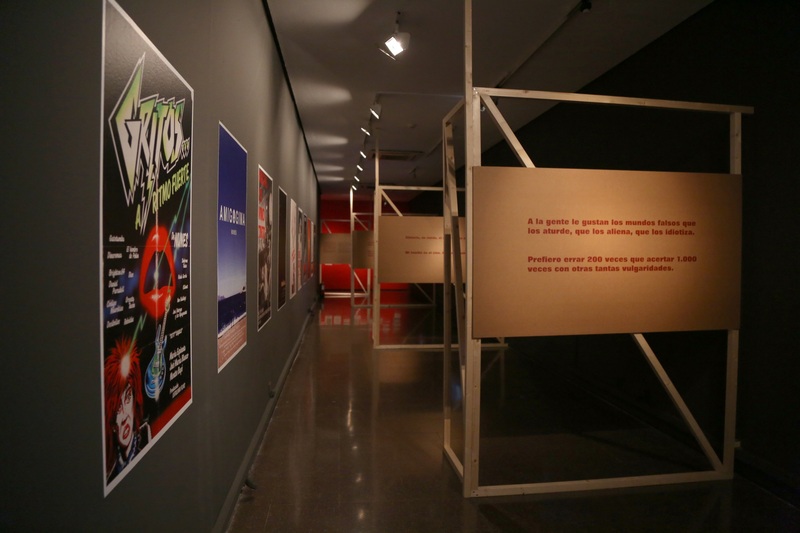 This exhibition began with an introduction to the character on a classic street poster. 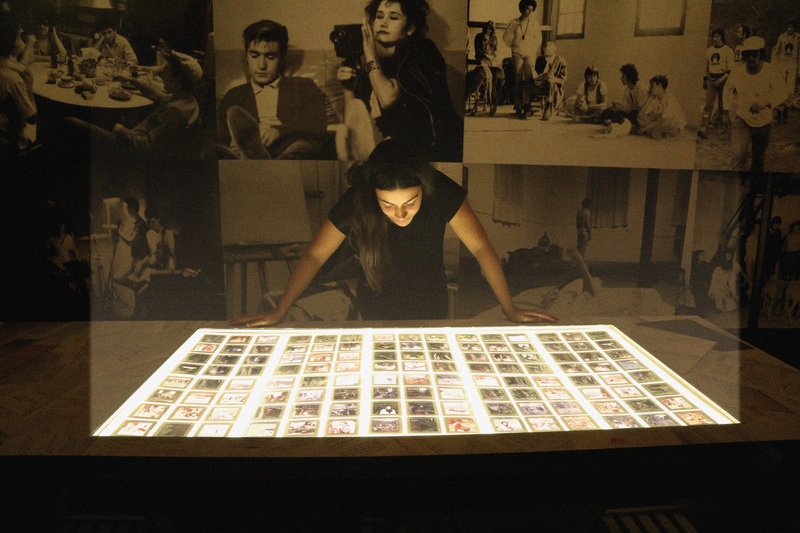 Then his filmography was shown through projections in small booths. 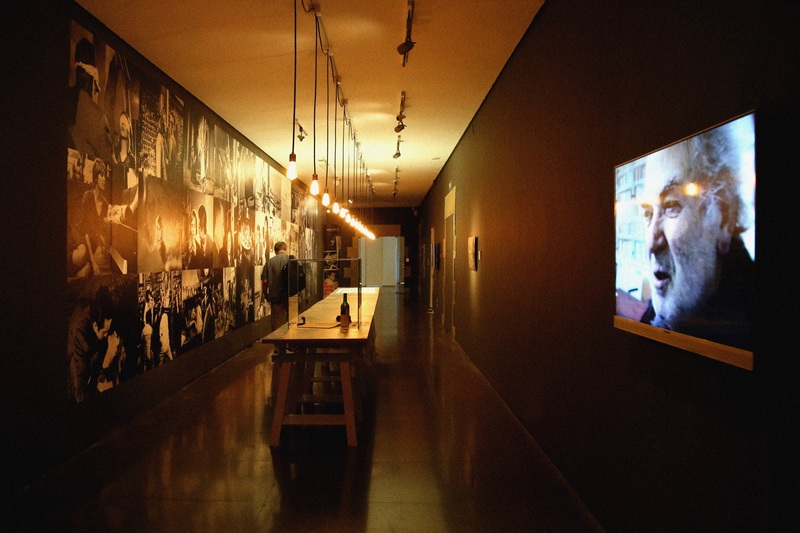 After learning more about his films, we access a dark room or red room, where there is a display of photographs he collected showing disasters that occurred around the world, different social movements, etc. 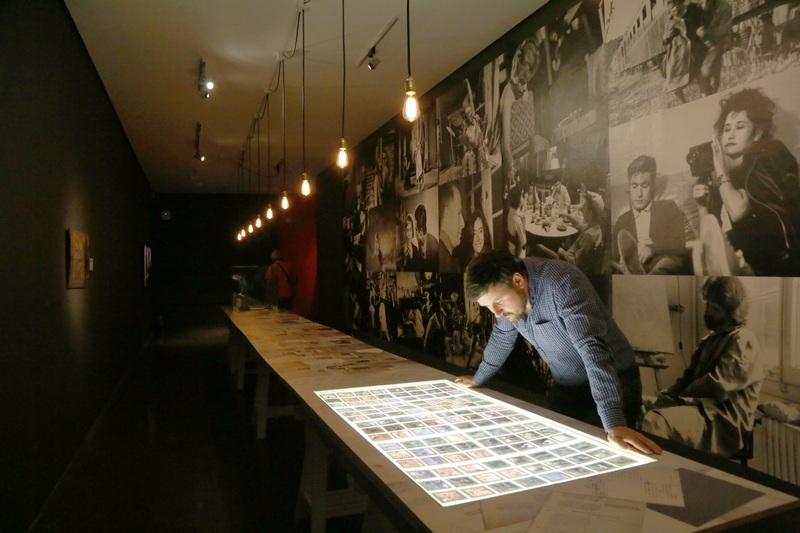 The exhibition closed out with a long display case containing the script for his film Mañana (1957), a clock, photographs taken during filming, and a light box with film stills. Printed on this table were personal documents, reports and enlarged photographs.